The Fleet Management module, leverages on the components built inside Asset Tracking and Personnel Management to allow the total integrated management of your fleet. 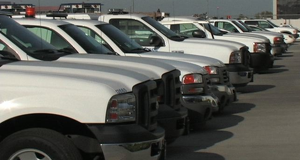 Fleet Management module provides a complete picture of your fleet’s operating condition. It allows the monitoring of your entire fleet’s fuel consumption, drivers’ safety and compliance matters, maximize your fleet’s efficiency through dispatch management, lowers expensive repair costs through maintenance and monitoring, and combines the data gathered through the Asset Tracking and Personnel Management to provide financial analysis on your fleets’ entire operating cost.